This is a set of two Pro-Line 3.8" Sling Shot Tires, pre-mounted on black Desperado 17mm 1/2" Offset Monster Truck Wheels. 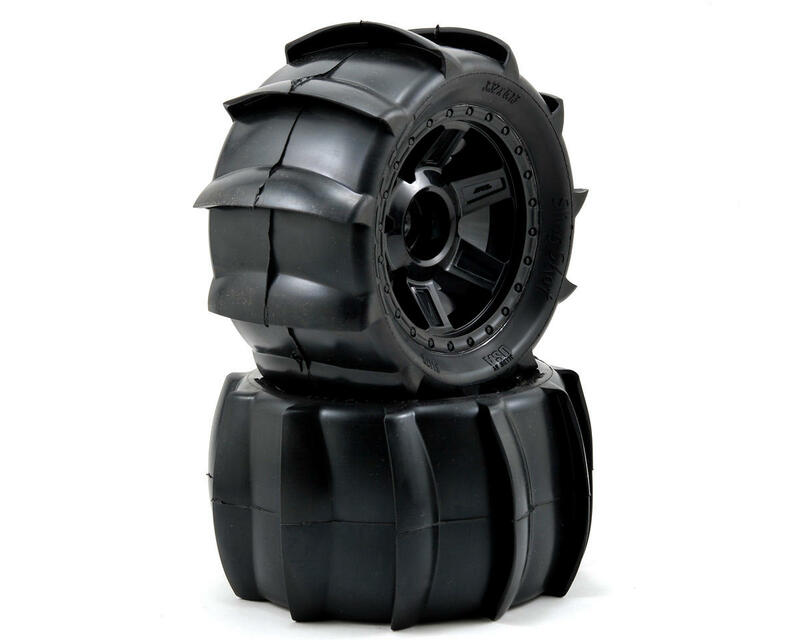 The best form of fun is here with the Sling Shot 3.8" paddle tire for monster trucks and truggies. The Sling Shot provides hours of fun in the sand, snow or even in the occasional mud pit. The eleven paddles ensure maximum performance due to the true scoop design coupled with low roll outer sidewalls. 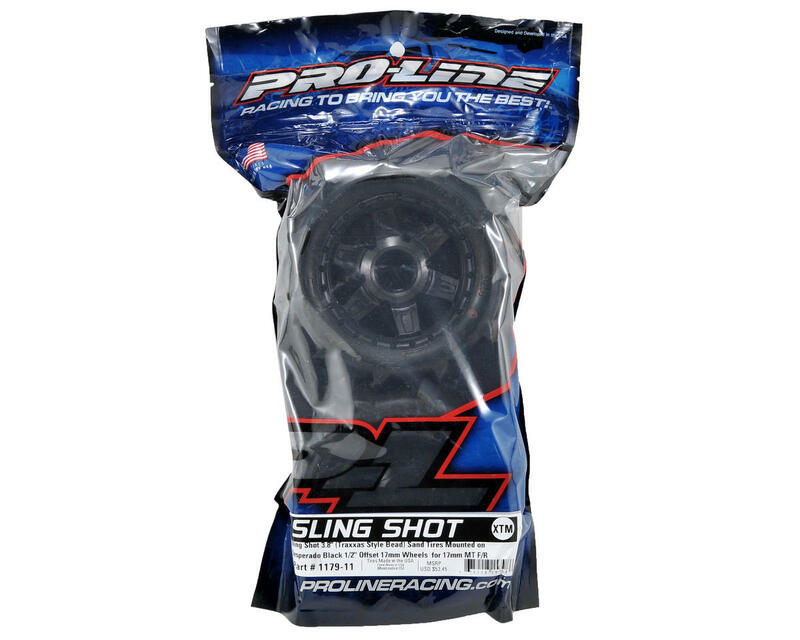 The Sling Shot comes completely ready to use mounted to wheels for big Pro-Line fun! Now that it comes pre-mounted on Desperado 3.8" (Traxxas Style Bead) Wheels you have even more reason to go tear up the sand or snow! Bought a set and put the on a Kyosho Scorpion XXL VE. Ran on the beach in Myrtle Beach SC. Was totally awesome buggy did power wheelies at will on 4s. Buggy was totally stock otherwise.